Hello Doodlebug fans. 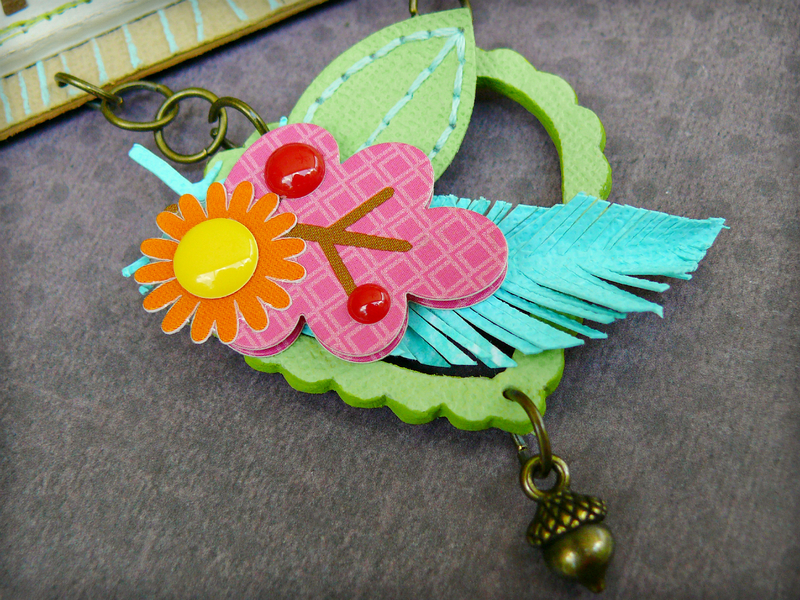 Jennifer here with my take on the cardstock challenge. 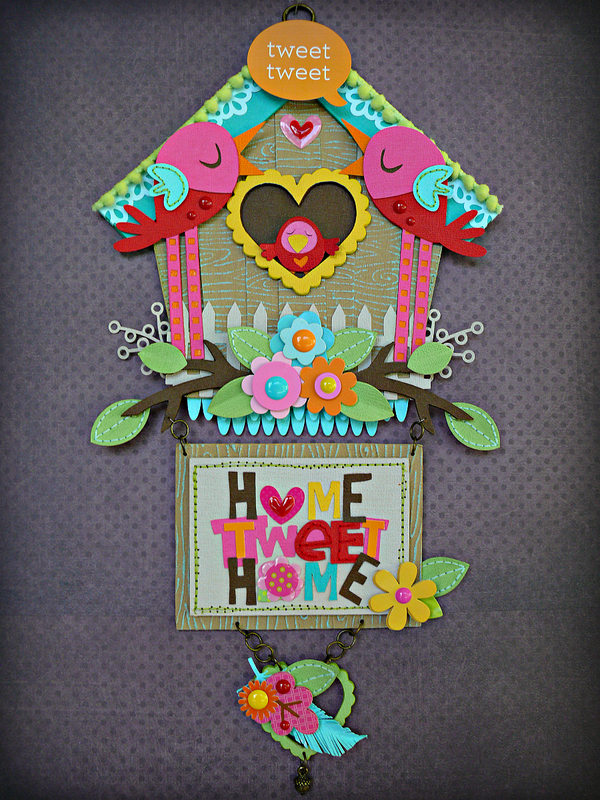 For my project I decided to create a small wall hanging, using some of my favorite Doodlebug colors. 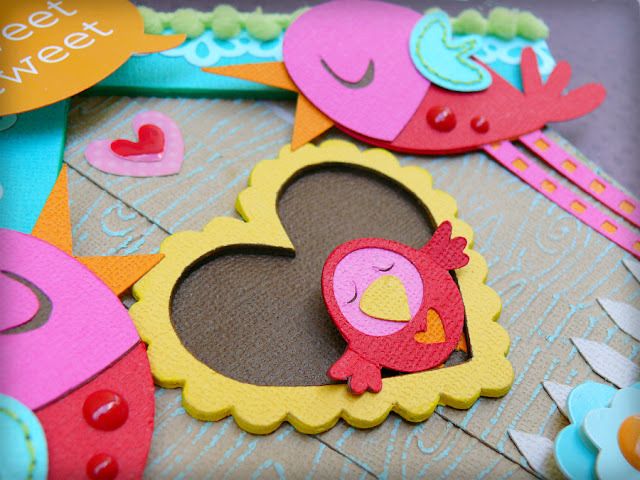 Doodlebug cardstock is perfect for cutting images out on your die cutting machines. So that's just what I did. The birds, fence, shrubs, border, text and feather were all cut using my Silhouette. A house shaped album page was used as the base of my project. The house was covered with wood grain textured strips of cardstock. Then lightly colored with a teal Gelato. The roof was also covered with cardstock and then embellished with a border sticker and some trim. 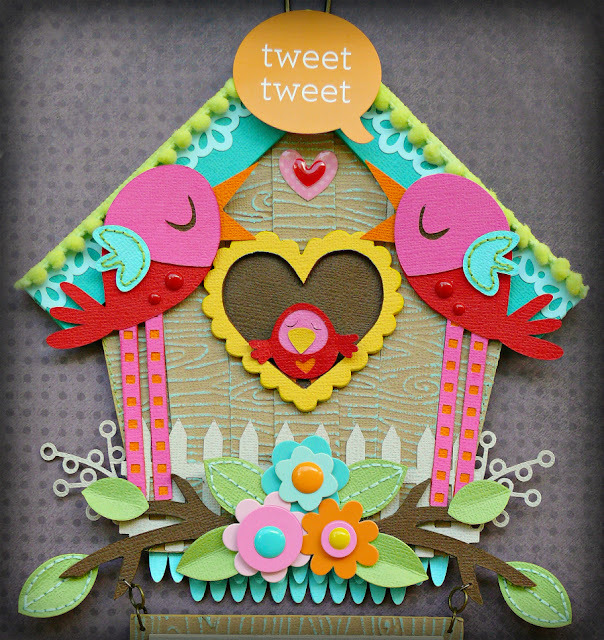 The cardstock birds, a chipboard heart and some heart sprinkles were then attached to the house. The green leaves are die cuts. They were bent slightly along the center and some were hand stitched with embroidery floss. The branches are wood embellishments that were covered with a dark brown cardstock. Then some flowers were added for a splash of color. As you can see the base of the sign was treated in the same way as the house. 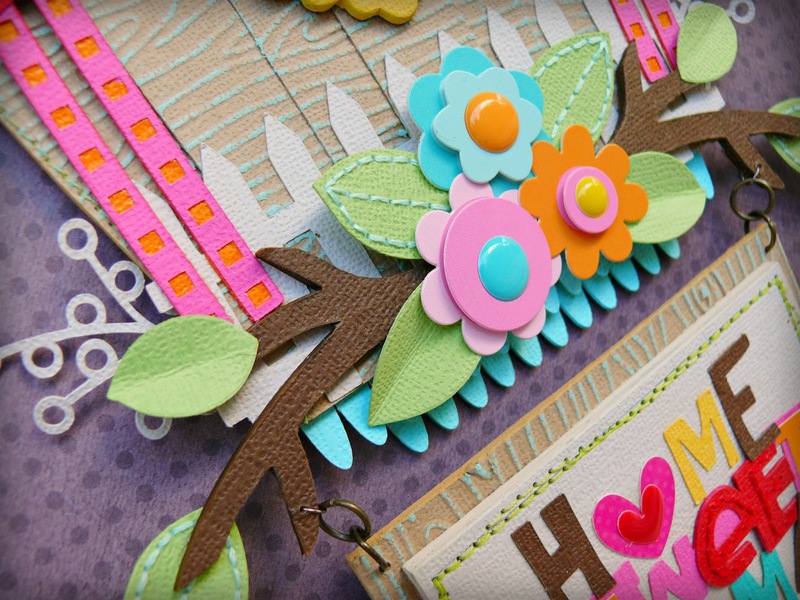 Then a smaller piece of cardboard was covered with cardstock, stitched and layered onto the embossed piece. 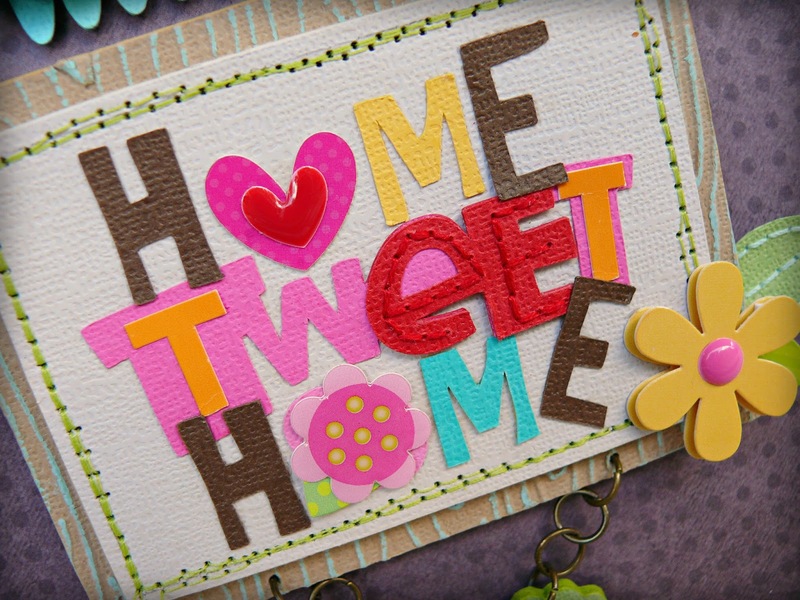 Cardstock letters were cut and applied to the sign, along with heart, flower and letter stickers. This is adorable Jennifer! I love the birdie!!! This is really gorgeous Jennifer!!! Cute with so many incredible and fun details! !